A study of over 70,000 adults with and without a designated primary care doctor finds that those who do identify as having primary care more high-value care, less low-value care, and better patient experiences. Perhaps even more interesting is the fact that 25 percent of surveyed adults didn’t take advantage of primary care services even though they had health insurance coverage. That finding, according to the study’s authors, point to a lack of primary care access, physician shortages, and the propensity of younger patients to seek care outside of the traditional primary care business model – all signs that point to the value technology could play in connecting more adults with primary care services. Seattle-based startup Vyrty raises $3 million to scale a its mobile Sync.MD PHR, which it claims gives patients the ability to download their health data from any source and share it with their providers. I have to admit I’m surprised this type of company is getting funding given Apple’s increasingly wide health record app reach, not to mention the already saturated EHR/PHR market. Granted, technology like Sync.MD might be appealing to Android users. The company has also developed a health record card that can be read by providers using a special card reader. Global investment company Investcorp acquires practice management company Health Plus Management for an undisclosed amount. Health Plus CEO Stuart Blumberg, who founded the company in 1994, will remain with the business. EHR and practice management company CentralReach names Cheryl Michael (Envera Health) chief product officer. 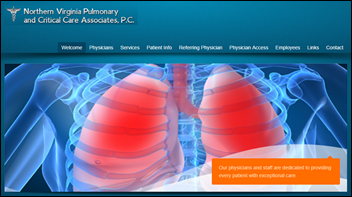 Northern Virginia Pulmonary and Critical Care Associates selects EHR and practice management software from TSI Healthcare, plus cloud-hosting services, and help with MIPS. 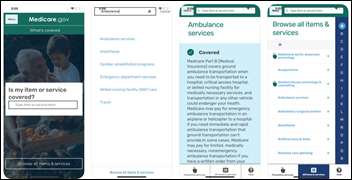 CMS launches the What’s Covered Medicare app to give members easier access to program resources, especially coverage information. The app is part of the government’s EMedicare initiative, which launched last year as a set of digital tools that give patients better insight into their Medicare coverage and healthcare costs. 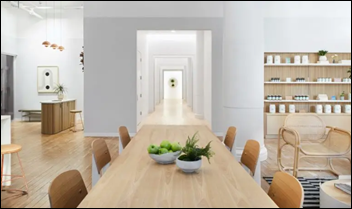 New York City-based direct primary care company Parsley Health opens its first stand-alone clinic using a design aesthetic based on principles that mimic nature. The calming effect is grounded in science: Research shows that natural references within a space can lower heart rate and blood pressure. LED lights are used instead of fluorescents, which produce slight flickers that can be irritating to the nervous system and the cause of headaches. Even the clinic’s hallways, which mimic nature, are designed to reduce stress, improve comfort, and provide a greater sense of safety. The company, which also operates three clinics inside of WeWork co-working offices, also plans to open a clinic in Los Angeles.